What are Karibu Kahawa Camps? Régine Guion-Firmin, AST the Karibu Kahawa Camps founder, owner and coordinator, dedicated to bringing Specialty Coffee Education to Origin to empower small holder Coffee Producers. Due to challenging climatic conditions, coffee growing countries need our help to experiment new avenues to fight these problems. 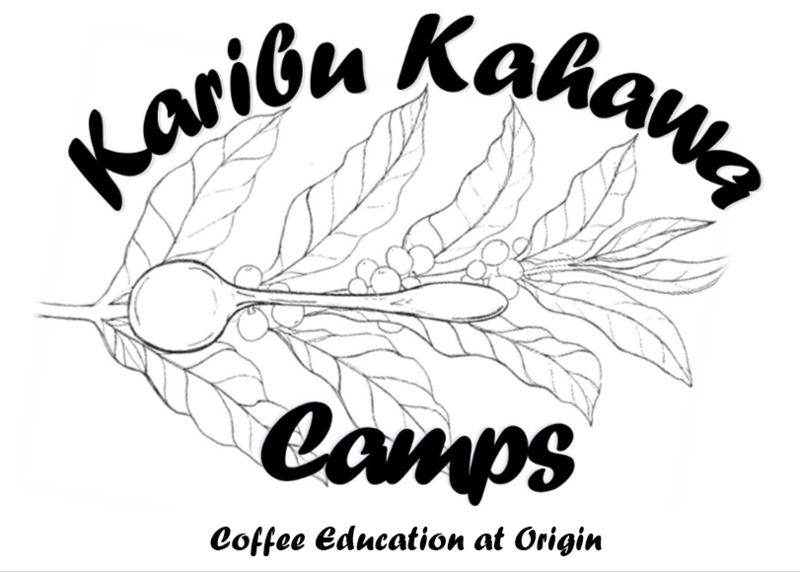 By having the Karibu Kahawa Camps running in small organic coffee estates, we will offer our knowledge to the Coffee Producers by working with them and running Green Coffee and Sensory skills workshops for them. We will offer these services for the Coffee Producers for free! We will learn from them as much as we teach them. The first camp will be run by March 2019! From the 5th to the 11th, during the flowering season. At this time, the Coffee Producers will have a bit freer time to receive us and be available to participate to the workshop we will organize for them. 50% of your fee will fund SCA education , organic certification, coffee labs equipment for coffee producers. Come to Nyeri to work and live in coffee farm. Pick and choose the week or weekend you like. As May is a quiet month, the farmers will have all the time to teach you a lot about Coffee farming. Where this camps will be run? In Nyeri, at Maguta Estate. Our hosts will be David Maguta, young farmer, and his mother.